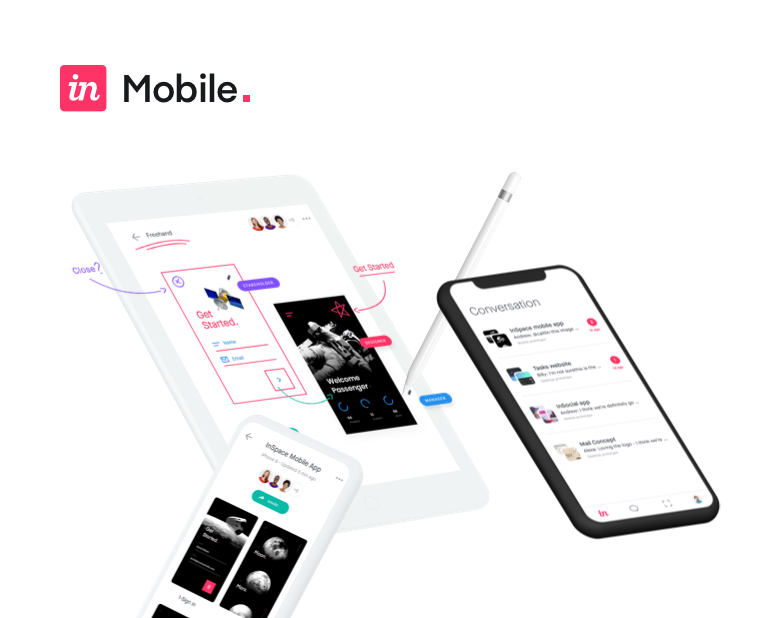 Stay fluent in the rapidly evolving language of digital product design with InVision Design Defined, an exhaustive, up-to-date glossary of design industry terminology, topics, and concepts. As designers, it can be easy to get so caught up in the nuances of the process that you forget you’re designing experiences for human beings. But the more you know about the human brain, the better your designs will be. Enter cognitive load. Understanding cognitive load and how to manage it is a surefire way to improve the usability of your designs. In this article, we’ll break down cognitive load and its importance—and how you can reduce it to create a better user experience. Dashboards are screens that contain both a) the tools needed for the user to take certain actions, and b) the information needed in order to gain insight and knowledge. While we tend to think that dashboards are exclusively visualizations of analytics or data, they’re actually just intuitive home screens for multifunctional applications. For example, consider the Facebook home screen. From here, users can see analytical data on the Pages they manage; which of their Groups have new notifications; how many invitees have RSVP’d to an Event they manage; and so on. Users that want a daily update can also use this screen, and, if needed, take action. This overview of information offers links to tools and information as needed, and is far better than forcing users to click around. Have you ever wondered how to use data effectively? In this article, we’ll learn about data-driven design best practices and suggest a few tools to help you get started. How do you act when you’re talking to a friend? Most likely, you make eye contact, smile, laugh, and use light physical affection to convey that you’re interested and engaged in what they have to say. These subtle acts of comfort and reassurance are so ingrained in our social mores, you probably don’t even notice you’re doing them. Yet they’re essential skills for maintaining meaningful relationships. In the same vein, animations add life to your designs, providing context and giving warmth to the way your users interact with your interfaces. So many companies talk about being customer-focused. But when you take a closer look at their organization, you realize they don’t have processes in place that consistently provide value to their customers. Design culture and related phrases like “design-led organizations” and “design-driven organizations” have become popular as more big companies work to integrate design into their culture. But design culture is more than hiring a chief design officer. It’s a guiding truth and internal framework that helps any company—not just design companies—be more competitive and create better user experiences. In this article, we’ll cover what a design culture is, why it’s important, and how you can build a design culture at your organization. An organization is only as good as its processes. Many organizations have systems to guide the feedback process. But as a designer, it can be hard to tell if you’re getting the kind of feedback you need to keep a project moving. In this article, we’ll cover design feedback, how to give design feedback, and how to create a culture of design feedback. Design principles are rules that will help guide you and your team while making important decisions throughout your projects. Whether they’re high-level and universal, or specific to your project/product, they have the power to unify all your collaborators around what is most important to you and your users. Here, we’ll look more into what design principles are, why you need them, and when and how to write them. In 2016, Jake Knapp’s book Sprint: How to Solve Big Problems and Test New Ideas in Just Five Days debuted—and completely transformed how organizations around the world solve problems. Since then, the book has become a New York Times best seller and design sprints are a staple of the collaborative process. Learning more about design sprints will help you understand how to apply it to your organization’s strategic challenges. Design thinking is one of the most branded and publicized “thinking” frameworks around. A majority of companies have their own version that’s printed on T-shirts, mugs, and giant posters. But what does it really mean? Learn about the essentials of engineering handoff: what it is, the benefits of engineering handoff, engineering handoff best practices, and more. Have you ever wondered what makes up a great design? This will guide you through the six elements of design, and offer a proposed seventh for the era of digital design. We’ll dissect the basics and explain how you can effectively utilize them in your work. Empathy maps help your team visualize and empathize with your user’s needs. Through the simple act of considering what a user feels, thinks, says, and does, teams can make great strides in efficiency. We’ve been making sense of the world around us through freehand drawing since the beginning of time. During the prehistoric period, we drew on cave walls. Today, we doodle to remember, to explain, to pass the time, and to get ideas out of our head quickly. Drawing helps us articulate our thinking and understand big and small concepts—an essential part of problem-solving. So it makes sense that freehand drawing has been a staple of the design process for quite some time. And it’s no surprise that design sprints encourage drawing as an efficient collaborative tool to create freehand designs. Sometimes referred to as user-centered design, human-centered design (HCD) is a framework that integrates a set of practices to understand users—their needs, constraints, contexts, behaviors, and wants—so that you can build deep empathy with them, generate multiple ideas to help solve their problems, and arrive at a solution via rapid prototyping. Have you ever wanted to learn more about interaction design? In this article, we’ll define the differences between a user experience designer and an interaction designer. We’ll also explore the kinds of projects an interaction designer would work on, and the five dimensions of interaction design. People don’t just want light bulbs, they want to be able to see. Our mindset on the way we approach problem-solving is crucial. It can be the difference between solving a problem and building a product that we think solves the problem because it looks and feels so brilliant on the surface. The former means innovating solutions (which are more likely to have value and result in a sustainable business) and the latter means innovating ideas (which don’t necessarily have any value). Enter the jobs-to-be-done (JTBD) framework. If you’re interested in product development, you’ve likely heard about the concept of a Minimum Viable Product, or MVP. Launching an MVP first rather than a complex, feature-complete product is a way to quickly launch a product to users and get feedback on how to improve it. This results in less wasted time and fewer wasted resources in getting to a product your customers will love. By 2020, mobile app revenue is estimated to rise to $189 billion, and the industry continues to expand due to the evolution of smart devices and technology. However, 24% of apps are only used once, and 57% of apps are deleted within a month. In an infographic by Marketing Profs, statistics show that: As you can see, mobile app design contributes heavily to app retention rates. Learn about the essentials of mockups: what they are, the anatomy of a mockup, the different types of mockups, how to handoff mockups to stakeholders, and more. Have you ever wondered what the principles were behind a great design? We’ll look at the seven principles that apply to classic and digital design, and how to harness them in your own work. Product design is a multidisciplinary field with the goal to create unique, beautiful, and holistic experiences for people. Put simply: Product design helps solve the world’s problems. The word prototype comes up in many different industries, each time with the same meaning. The screen design industry is no different, minus the tools that are used. Rapid prototyping is a design workflow that consists of ideation, prototyping, and testing to help designers discover and validate their ideas quickly. With rapid prototyping, you can expect to collaborate with multiple departments to gain insight from all angles. Learn about the essentials of responsive design: what it is, the challenges of responsive design, responsive breakpoints, screen resolutions, and more. Principles of design are widely-accepted notions that all designs must consider to offer an overall optimal user experience. These design principles not only apply to screen design but graphic design and physical products. The Unity Principle of Design is commonly known as one of the more complex principles and incorporates other, more basic design principles such as repetition, proximity, and alignment. Usability testing is a crucial component of user experience design, and helps close the gap between the designer’s intentions and the user’s expectations. Whether positive or negative, the user’s feedback can expose what needs to be fixed. With the right data, you can better understand how to improve the user interface, design, navigation, and more. Have you ever wanted to learn the best way to understand your users? Creating user flows can help you define your goals, understand your users, and drive more business. We’ll also cover some tips on how to improve your user flows and create a better overall experience. Have you ever wanted to learn more about UI design? In this article, we’ll dive into the history of graphical user interfaces, and how we arrived at modern day interfaces. We’ll also cover who’s responsible for designing interfaces and some basic principles of UI design. Building a software product is complex and involves numerous processes, technologies, and teams (technical and non-technical). All of these moving parts make it easy for the project to get out of hand and lose focus on what really matters: how the product creates value for the user. So how do you make sure that multiple teams understand the purpose behind what’s being built, and how they fit in? That’s where user stories come in. Successful products are both easy to use and meet people’s needs. But how can your team know if your product is useful and usable? The surest way is also the most direct: Ask your users, early and often. When you talk with users and watch them use your product or prototype, your team can build the right features the first time. When you meet your customer’s needs, you can reduce rework and customer support costs. Everybody wins. The definition of user experience design, or UX design, is widely varied. The User Experience Professionals Association (UXPA), one of the pre-eminent professional organizations for the field of UX Design, has an entire UX definitions page with multiple perspectives. Similarly, the Wikipedia definition lacks citations for verification and has been flagged with multiple issues. This variance is likely for two reasons: However, all UX design roles share a common thread in defining, creating, and improving the experiences of users. People practicing UX design understand who their users are by uncovering and prioritizing what they want, then planning and building experiences to meet those needs effectively, efficiently, and delightfully—all while balancing business goals. Have you ever wanted to learn about visual hierarchy? In this article, we’ll talk about common reading patterns and a few rules for creating consistent visual hierarchy in your designs. The concept of web design and development has been around for about as long as websites have existed. It used to have a much simpler definition because website creation used to be a much simpler process. When you compare the first website, which came out in 1991, to modern websites, you can really see how much websites have evolved. Today, creating and maintaining a website is more complex, and involves an entire ecosystem of roles and skill sets. For designers, it can be difficult to know exactly where you fit into this ecosystem. This article outlines the major aspects of the website creation process, offering a clear picture of your role, the roles of others, and the skill sets involved. An essential component in the design process, wireframing gives designers the opportunity to think about the clearest path a user can follow to complete their objective(s). How can you make it easy for users to consume the right information? How long do you have until they suffer from cognitive overload? With wireframes, you can think about these questions organically, taking each one in stride. The result is a thoughtful, well-executed prototype (and, hopefully, product).